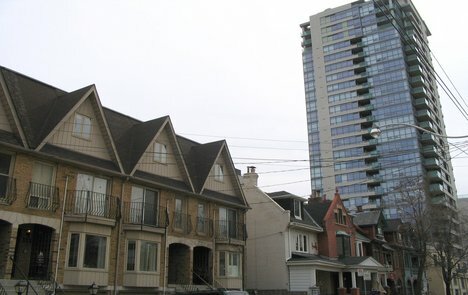 Small in the City or Big in the ‘Burbs? Home » Insights » Small in the City or Big in the ‘Burbs? The Feds released the data from the 2006 Canadian Census yesterday, with the major headline being that Toronto is growing slowly while the 905 is booming. Toronto’s population grew by just 0.9% since 2001 while towns like Vaughn (31%), Brampton ( 33%), and Milton ( 71%) are seeing an explosion in growth. It seems that despite the City’s and the Province’s efforts at encouraging density, more and more people are choosing to settle in the suburbs and leave the Big Smoke behind. But could this also be a symptom of the booming Toronto Real Estate Market? Have too many buyers been ‘priced out’ of the city? Like what you see? Read the rest at blogTO.com.